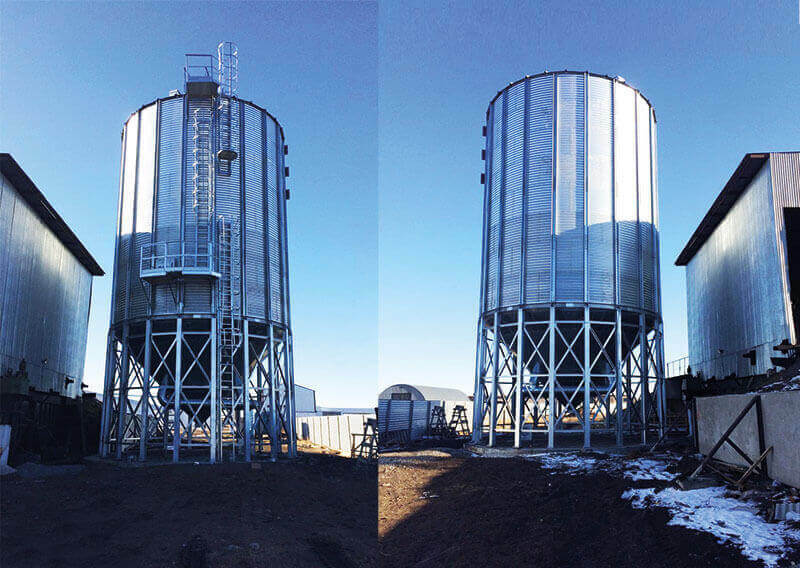 Silos Córdoba has completed the assembly of a hopper silo for the company LLP TROYANA, which has been installed in the Kustanai region of Kazakhstan. The hopper silo model 07.64/08 has a capacity of 512 m3 (384 tons) and is intended for storing various types of crops, as well as compound feeds. Storage of mixed feeds is currently a hot topic in Kazakhstan. The silo is equipped with a 50 t/h chain conveyor and bucket elevators for loading and unloading. The equipment meets all the requirements of quality and safety according to the standards of Kazakhstan. Conveyors and elevators are made of 350GD galvanized steel with Z600 coating, which is the maximum protection against corrosion and oxidation. The heavy-duty handling equipment of Silos Córdoba has been designed taking into account the conditions of Kazakhstan (high humidity and grain dirt) and for large volumes of grain to be handled during 24 hours a day, more than 300 days a year.